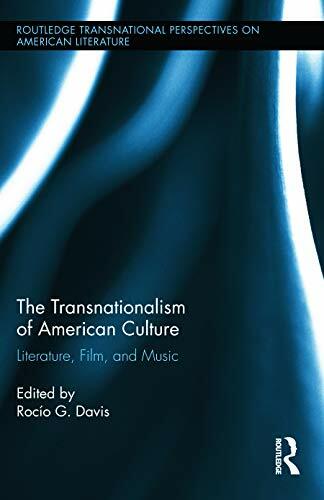 [PDF] The Transnationalism of American Culture: Literature, Film, and Music (Routledge Transnational Perspectives on American Literature) | Free eBooks Download - EBOOKEE! Description: This book studies the transnational nature of American cultural production, specifically literature, film, and music, examining how these serve as ways of perceiving the United States and American culture. The volumes engagement with the reality of transnationalism focuses on material examples that allow for an exploration of concrete manifestations of this phenomenon and trace its development within and outside the United States. Contributors consider the ways in which artifacts or manifestations of American culture have traveled and what has happened to the texts in the process, inviting readers to examine the nature of the transnational turn by highlighting the cultural products that represent and produce it. Emphasis on literature, film, and music allows for nuanced perspectives on the way a global phenomenon is enacted in American texts within the U.S, also illustrating the commodification of American culture as these texts travel. The volume therefore serves as a coherent examination of the critical and creative repercussions of transnationalism, and, by juxtaposing a discussion of creativity with critical paradigms, unveils how transnationalism has become one of the constitutive modes of cultural production in the 21st century. No comments for "[PDF] The Transnationalism of American Culture: Literature, Film, and Music (Routledge Transnational Perspectives on American Literature)".